What a performance we witnessed yesterday from Blues in the 2-0 win at home to Nottingham Forest. To a man every single player put in a fantastic performance and we deservedly came away with all 3 points. It really is testament to Garry Monk and his coaching staff, as well as the players, that aside from hitting the post once, Camp and his defence never really looked threatened by Forest during the game. It was a really perfect performance. Of course Che Adams will get a lot of praise and rightly so after dispatching his 16th goal of the season confidently from the penalty spot. The talented number nine was brilliant yesterday and had a hand in Jota’s goal in the first half. However, for me the man of the match was Harlee Dean. A player who so often doesn’t get the amount of praise he deserves., Dean was outstanding yesterday as he has been this whole season. The way he reads the game, is comfortable on the ball and is powerful in the air and on the ground was on full display for all to see yesterday. The Londoner really has taken his game to the next level after moving from Brentford in August 2017 and it would be no surprise if come the summer a host of premier league clubs come calling. Blues were tactically fantastic yesterday and dominated the midfield against Forest thanks to the tireless work of Kieftenbeld and Gary Gardner. Where we would be without Kieftenbeld I really don’t know! Arguably one of the best players to have played for Blues in the last decade, “Dutch Mike” embodies what it means to play for Blues. To think we could’ve lost him for pennies to Derby a couple of seasons ago! I do owe Garry Monk an apology after yesterday as well. Monk can do no wrong in my eyes, however, the only thing I have ever questioned him about is how long he sometimes takes to make a substitution. Yesterday, myself and I’m sure a number of fellow bluenoses were silenced in the best way possible. After weathering a storm of Forest attack’s, the Blues manager waited till the 75th minute to bring Isaac Vassell on for Lukas Jutkiewicz, instead of bringing him on earlier in the half. It was a tactical master stroke by Monk. Vassell’s dynamic pace and running terrorised the Forest defence and eventually resulted in the build up to the penalty decision in injury time. Well done Garry I promise I won’t question you again! Lee Camp. Wow this is a topic that is quite controversial. Should he be the number one? Is he good enough to play for Blues? These are questions that seem to be asked regularly regardless of the results. If we win a game Camp’s hesitation and slightly rocky areas are brought up. If we lose a game it always seems to be “Camp’s fault.” Is this criticism fair of the Birmingham number one goalkeeper? Does he really deserve to keep his place? Yes, yes he does. Lee Camp is a widely respected and experienced goal keeper. Camp started his career at Derby and went on to play for Nottingham Forest for 4 seasons after a spell at QPR. I always remember Camp being a regular fixture in between the sticks for Forest between 2009-2013. The Nine times capped Northern Ireland international was widely respected as a very good championship keeper. So what changed? Why are there question marks over Camp? Unfortunately for Camp, after leaving Forest he never was able to fully settle down at a team. After spells at Norwich, West Brom and Bournemouth, Camp joined Rotherham. The Millers were rock bottom of the Championship and, even with the brilliant efforts of Camp to try to change this around, were relegated from the championship. Fast forward two seasons and Camp was brought in at Sunderland, who again were rock bottom, to help them avoid the same fate. That never happened. Yes, Camp made a few considerable errors for both teams, however, what most people forget is just how horrendous both sides defences were. A goal keeper can only do so much, and with two incapable defences, Camp was like a lamb to the slaughter. With two successive back to back relegations this no doubt would’ve knocked Camp’s confidence considerably and during his spell at Sunderland in particular he looked a million miles away from the experienced goal keeper we had come to know at Forest. 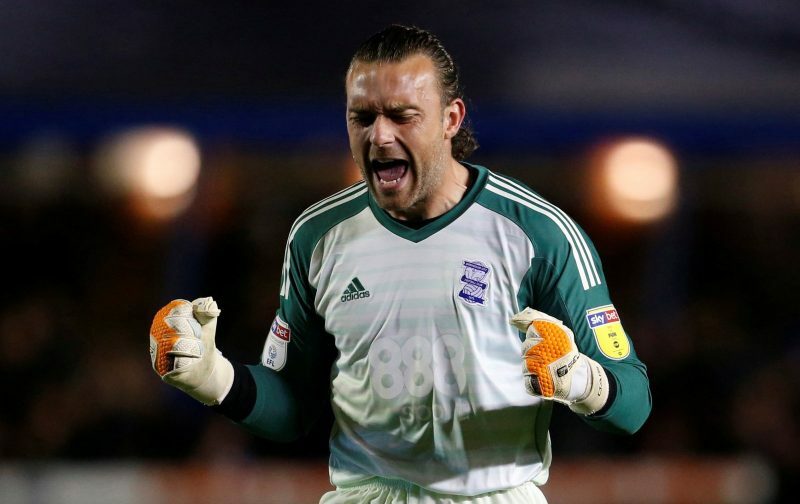 In the Summer of 2018, Lee Camp was brought in to replace Connal Trueman as the number one at Birmingham City. This decision was laughed at by most of the footballing world and yes, in the first few games, Camp was a bit shaky and unsettled. However, he has grown into it and in my opinion he has been great for Blues so far this campaign. Camp has kept nine clean sheets in 27 matches for blues this season. That’s one in three. Camp has kept one less clean sheet than England International Jack Butland for crying out loud! Yes the back four this season have been fantastic but let’s not forget that Camp has produced some fantastic saves and performances for us this season. 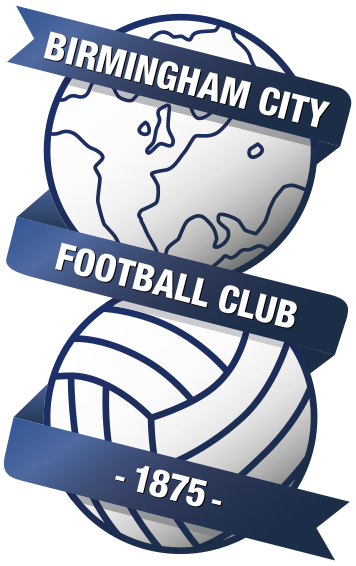 Camp was magnificent in the 1-1 draw away at Sheffield Wednesday last month and has kept blues in the game a number of times throughout the campaign. He has made mistakes the one recently at Swansea still fresh in memory. However Camp has bounced back straight away from these mistakes and more than justified his place in the team. Blues have been blessed with having some fantastic goal keepers but over the last 5 years solid championship keepers have been few and far between. Darren Randolph was rubbish and it’s incredible to think that after moving from Blues to West Ham he was a regular in the premier league and went on to play for the Republic of Ireland at Euro 2016! Tomas Kuszczak had a slow start to his career at blues, however under Garry Rowett, he was brilliant and his heroics helped Blues stay up. Fast forward to last season and we had David Stockdale. Stockdale was terrible. He had a massive reputation after winning promotion with Brighton the year before, however, he never lived up to it. Regardless of whether or not he’s a nice guy or active on social media, Stockdale is quite rightly nowhere near the Blues squad. Lee Camp is not a world class keeper. He is, however, a good, experienced goal keeper who has been brilliant for us this season. Camp loves playing for the Blues, we saw that evidently after his name was sung after his heroic performance at Hillsborough. The questions will no doubt always remain with Camp but in my mind he’s the best we have and we are lucky to have him. He might not have everyone’s approval and he may make a few mistakes but he more than makes up for it. Back Camp, support him and don’t get on his back! People often don’t realise how lucky they are to have something until it’s gone. Don’t make the same mistake with Lee Camp!